The Mostly British Film Festival opens Thursday, launching its sixth annual lineup of cinema from the United Kingdom and related countries. A total of 25 oldies, indies, documentaries and upcoming theatrical releases will screen at the Vogue Theatre over eight days, with Cupid figuring into the details. Presented by the San Francisco Neighborhood Theater Foundation and the California Film Institute, the festival contains films from Britain, Ireland, Australia and India. “Le Week-End” opens the fest. A long-married couple visits Paris in hopes of revitalizing their relationship in the drama directed by Roger Michell and starring Jim Broadbent and Lindsay Duncan. On Valentine’s Day, two romantic favorites — “Love Actually” and “Sliding Doors” — are on the bill, along with “Love Me Till Monday,” an indie set to open in the U.K. this spring. The latter features a comic, down-to-earth depiction of the clunky and unglamorous ways 20-something Brits look for love. “A lost soul who lets life happen to her” is how Georgia Maguire, the film’s lead actress, describes her character, Becky, before her eventual awakening. Producer Muireann Price describes the film as a low-budget triumph that resulted from a workshop in which character immersion and improvisation yielded three-dimensional characters. Sunday’s Noir night features the 1965 cold-war thriller “The Spy Who Came in From the Cold.” KALW (91.7 FM) film critic Peter Robinson describes the adaptation of John le Carre’s novel, starring Richard Burton, as an “anti-Bond movie” and a “breakout” film noir, citing its gray look and absence of Hollywood-style car chases and femme fatales. The film is paired with 1984’s “The Hit,” an overlooked gem directed by Stephen Frears. Additional highlights include an onstage interview with actor Michael York, accompanied by a screening of “England Made Me” on Saturday. Documentaries include “The Spirit of ’45,” Ken Loach’s chronicle of the sweeping social change that transformed postwar Britain, on Saturday. “What Richard Did,” an Irish drama about a teen who commits a life-shattering act, screens Tuesday, and Australia’s “Mystery Road,” about the investigation of the murder of an Aboriginal girl, screens Monday. On Feb. 19, India’s offering “The Lunchbox,” in which an incident of mistaken identity results in an unexpected friendship, hits the screen. “Summer in February,” a fact-based artist-colony tale featuring a love triangle, closes the festival on Feb. 20. The late and great Peter O’Toole is remembered Feb. 16 with a screening of “My Favorite Year,” an endearing comedy starring O’Toole as a swashbuckling lush of an actor (akin to Errol Flynn) who must battle his demons to make a comeback television appearance. Michael York, on the mend, happy to be coming to S.F. 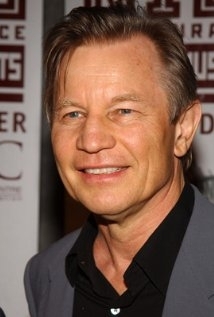 Allen Johnson Feb. 12, 2014 Updated: Feb. 12, 2014 1:58 p.m.
Michael York is happy to be a part of this week’s Mostly British Film Festival. Really. After what he’s been through, a trip to San Francisco is not something to be taken for granted. “I’m much better. I can do things, I can travel, I can look forward to things again,” said the 71-year-old British-born acting legend. The man known for such films as “Cabaret,” “Logan’s Run” and the “Austin Powers” movies has been fighting amyloidosis, a rare, frequently misdiagnosed and often fatal disease in which abnormal deposits of insoluble proteins clump together in different parts of the body, eventually causing vital organs to shut down. It is such a rare disease that he didn’t know he had it; one of his misdiagnoses was bone marrow cancer. Now he is getting the treatment he needs and is writing a book about the experience. The Mostly British Film Festival, now in its fifth year, has been asking York to attend since near the beginning of its inception, but only now is he able to do it. He’s wanted to come for the opportunity to present his rarely seen 1973 film “England Made Me,” set in Nazi Germany, co-starring Peter Finch and based on a Graham Greene novel, which screens Saturday at the Vogue Theater, preceded by an onstage conversation with York. The film came out during York’s hottest period, when he starred in “Cabaret,” “The Three Musketeers,” “The Four Musketeers,” “Lost Horizon,” “Murder on the Orient Express,” “Logan’s Run,” “The Island of Dr. Moreau” and “The Last Remake of Beau Geste” – all in a five-year span. Now, of course, he’s cultivated a new, younger fan base for his role as Basil Exposition, a parody of M in the James Bond films, who gives Austin Powers his marching orders. Now that he’s on the mend, perhaps there are a few more memorable roles in York’s future.